This business was founded by my father, Mario Sr., when he was building his '73 Camaro Z28 RS 4-speed with a 383 stroker motor. His son (me, Mario Jr.) was helping him build the car and he was realizing how expensive and rare some new and even used GM parts were. So we started off small in a little building and built our way up to a nation-wide business selling about 250 to 400 parts on eBay. We buy parts and refurbish them or just buy a Trans Am or Camaro and dismantle it since it is to far away from ever being road worthy. We also will buy cars that are close to being road worthy, or just need some motor work or body work and get them fixed up and re-sell them so Camaros and Firebirds will live! 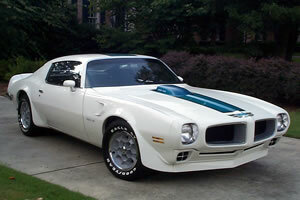 To sell quality GM used parts or New OEM parts to people restoring a 1967-81 Camaro/Z28/RS or Firebird/Formula/Trans Am cars. We sell used GM parts, NOS parts, and new OER parts. We also sell some apparel, and will be having more apparel available in the future.